The College proposes to start an N.S.S. unit. 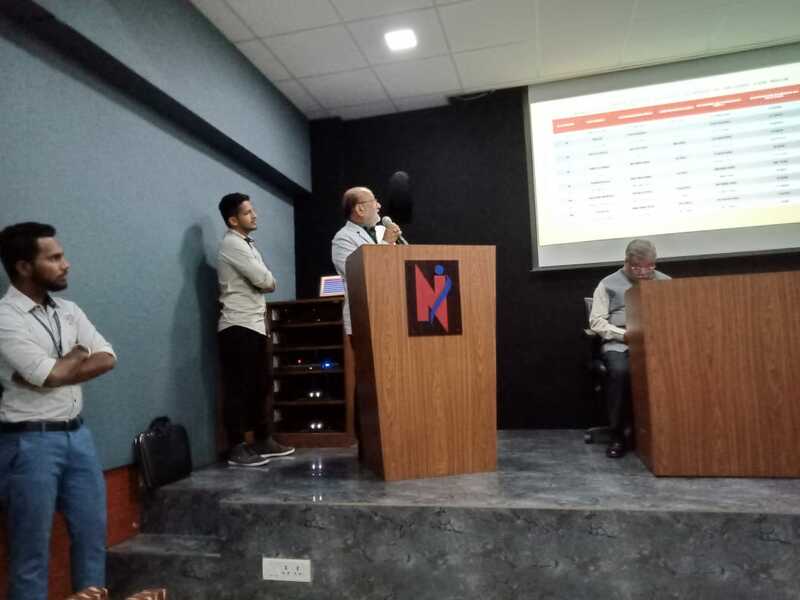 Students will be enrolled as N.S.S. 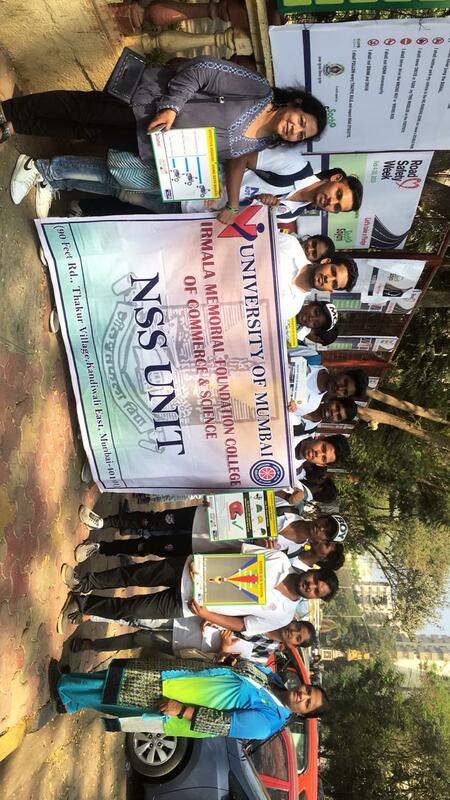 volunteers as per the directives and guidelines issued by the N.S.S unit of the University Of Mumbai. 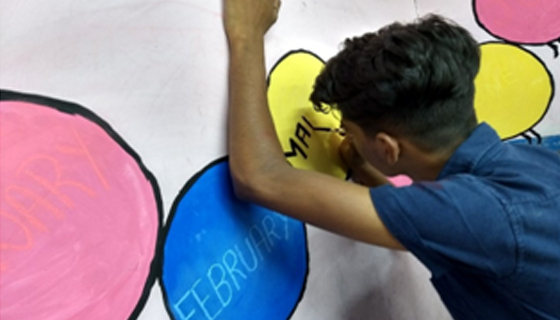 Students will be encouraged to participate in various social service activities throughout the year. 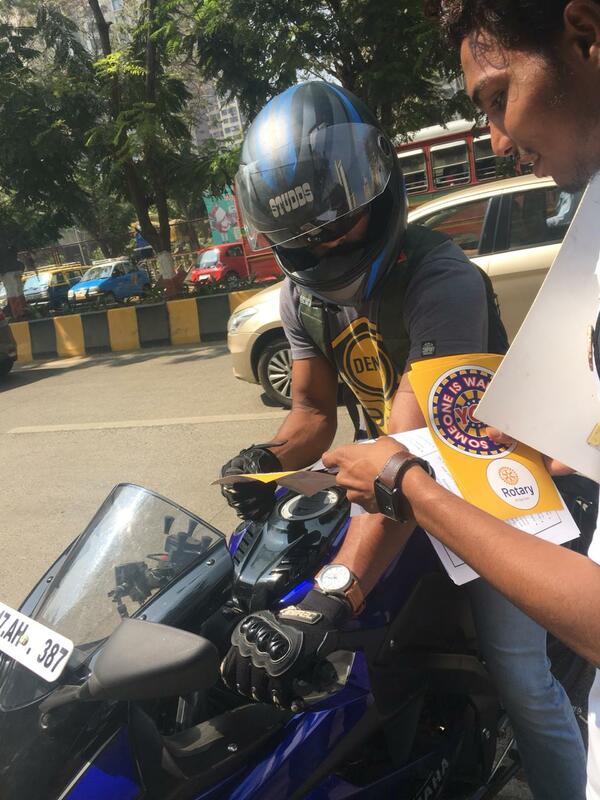 The Road safety week was observed by NSS volunteers by having one to one interaction with bikers and telling them the safety measures to be followed while riding. 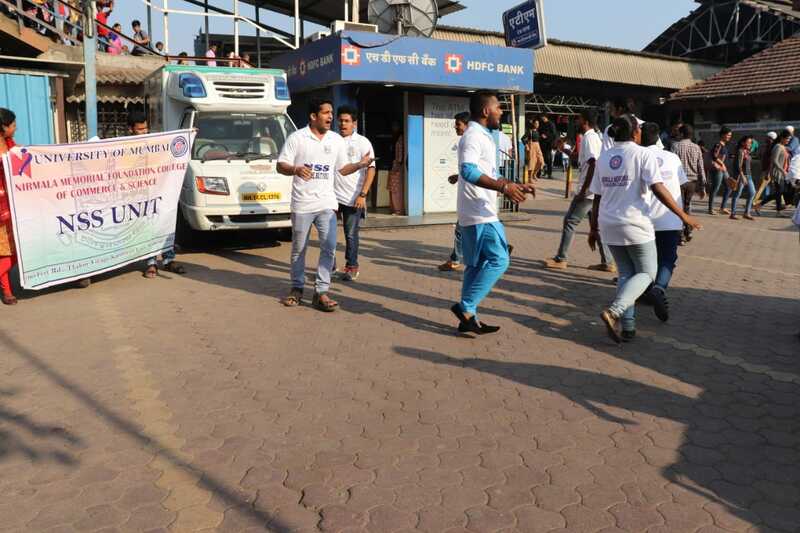 A skit was also performed by volunteers to spread awareness. A sticker denoting phrase "someone is waiting for you" was also pasted on their vehicle. 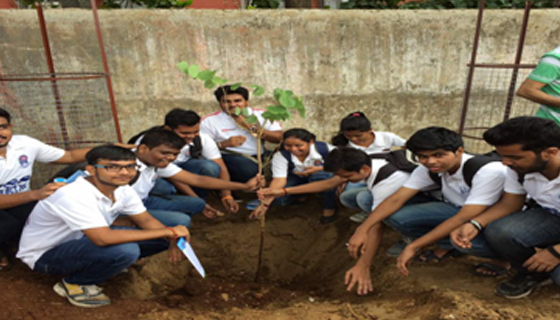 The programme was supported by police inspector of samta nagar police station and Rotary club members. 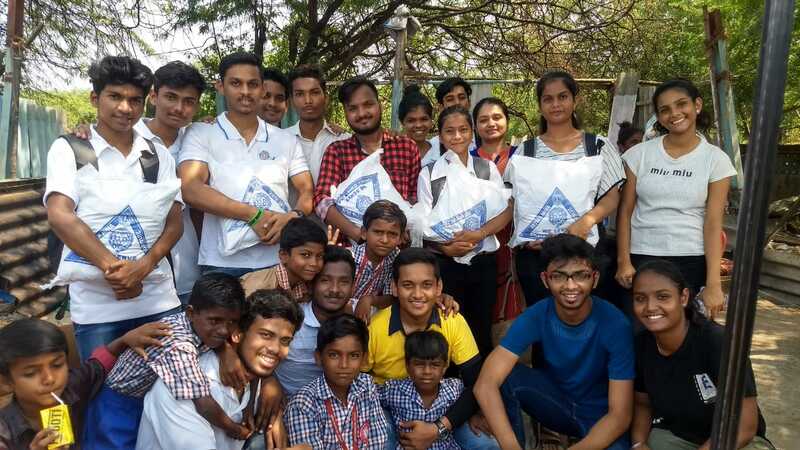 NSS unit of Nirmala Memorial Foundation College – Kandivali organised 7 days (6th to 12th January 2019) residential camp at Belvadi. This village has been adopted by the college and working for the betterment of villagers form last 2 years. 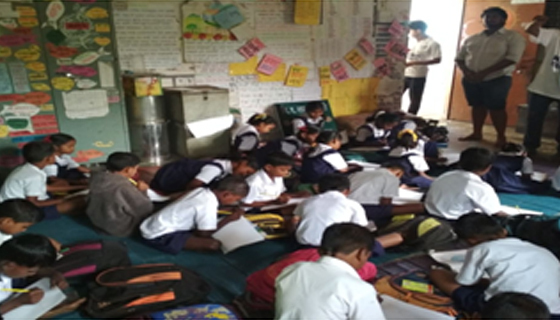 This year following activities were carried out by the unit. A free dental check up camp was arranged for villagers around 200 people were benefited through this check up. The team of NSS volunteers worked hard to build 2 soak pits near hand pumps. These hand pumps will help the water to percolate under the ground instead of flowing on the road. This activity also made the village from mosquitoes. The Police Patil of the village has to say that this soak pits will help villagers for next 20 years. 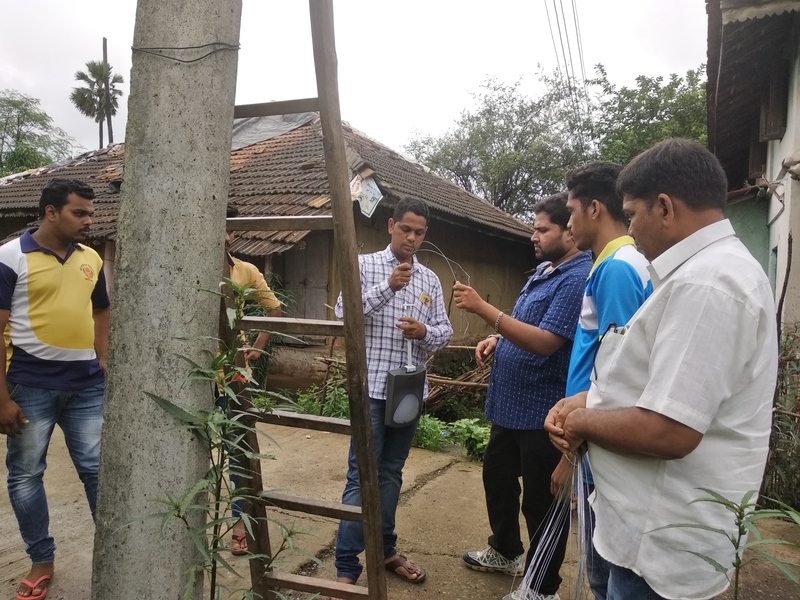 In co-ordination with Gaya Foundation 30 trees (mango, chiku, Jamun etc) were given to villagers and a promise from them was taken about preserving these trees. 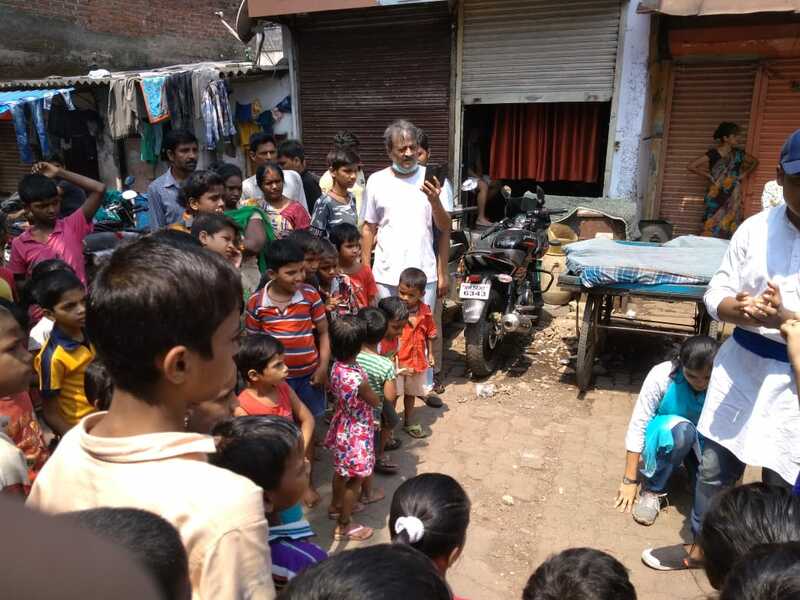 - Self defense and health hygiene session by team of NSS volunteers under the guidance of Prof. Rishabh Desai. 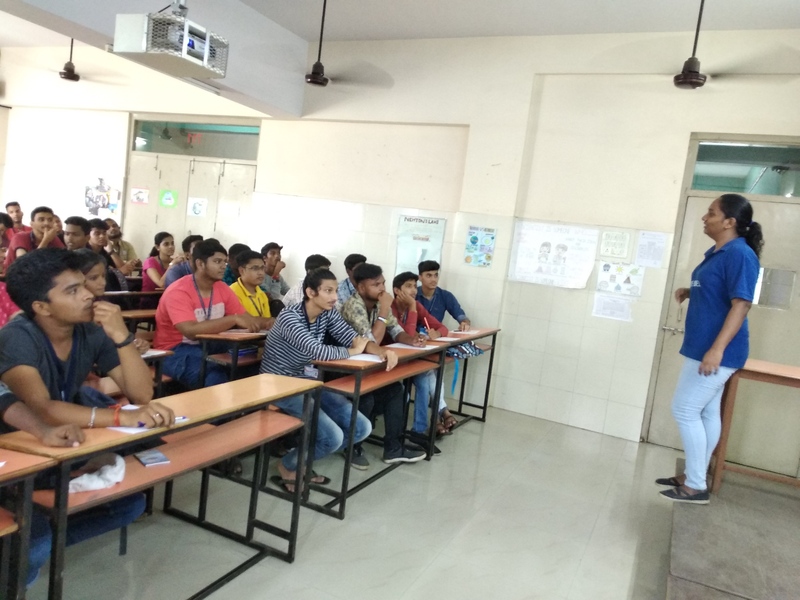 - Mr. Balaji Banate, NSS volunteer took a session on photography to develop the skills of selected students. 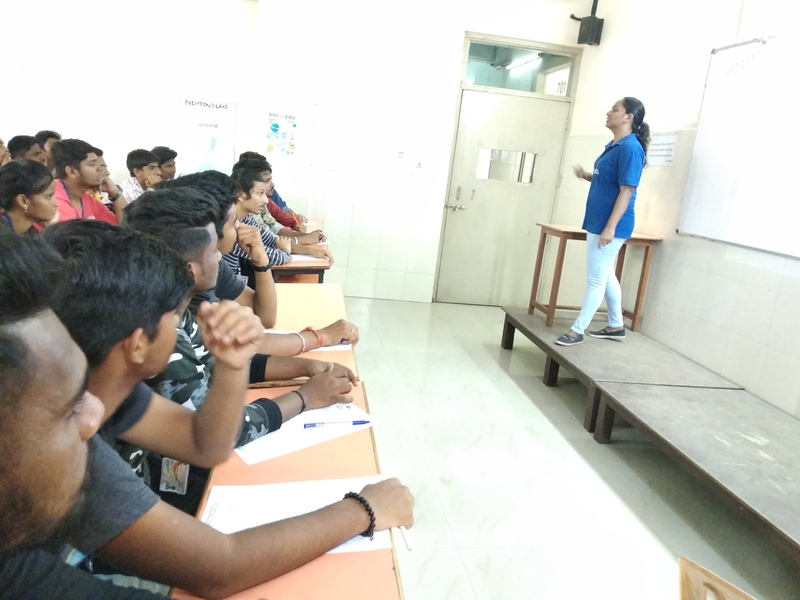 - Dr. Megha Juvekar, Programme Officer of NSS unit took a session on girls hygiene for girls studying form 8th to 12th std. 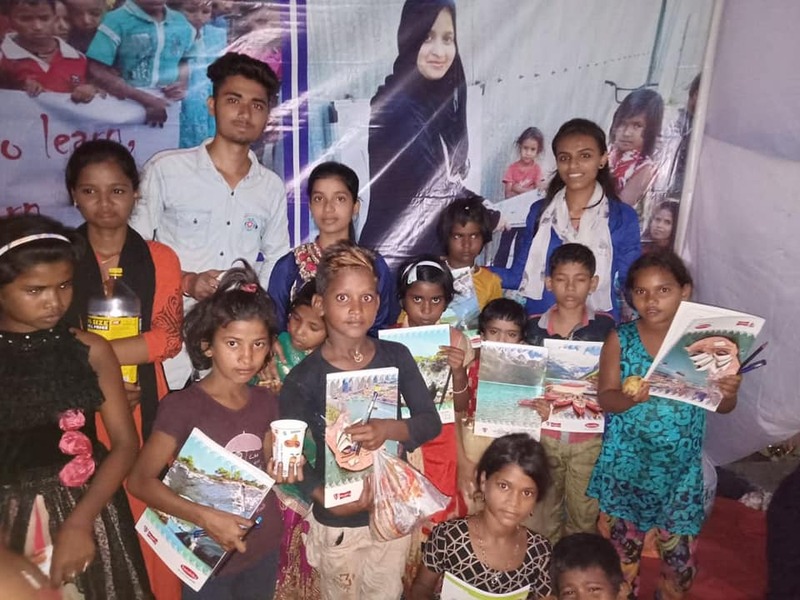 A cultural evening was spent with villagers in which a Bharud, Maharashtrain folk was performed for spreading awareness on different social issues like family planning, women empowerment and maintaining clean environment. 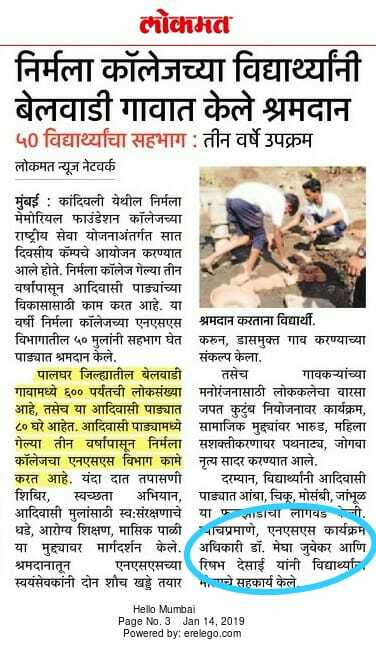 Around, 500 villagers are benefited due to these activities. It was a good practical learning for volunteers to contribute and make a difference in the life of villagers. 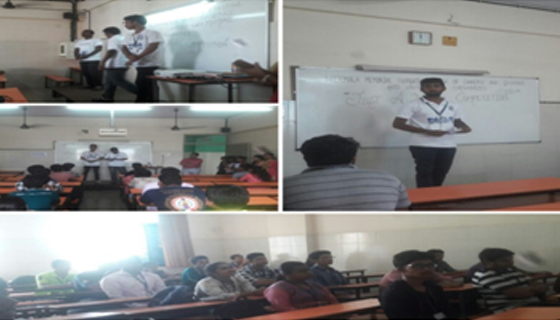 NSS unit organised a session on Cancer Awareness for students. 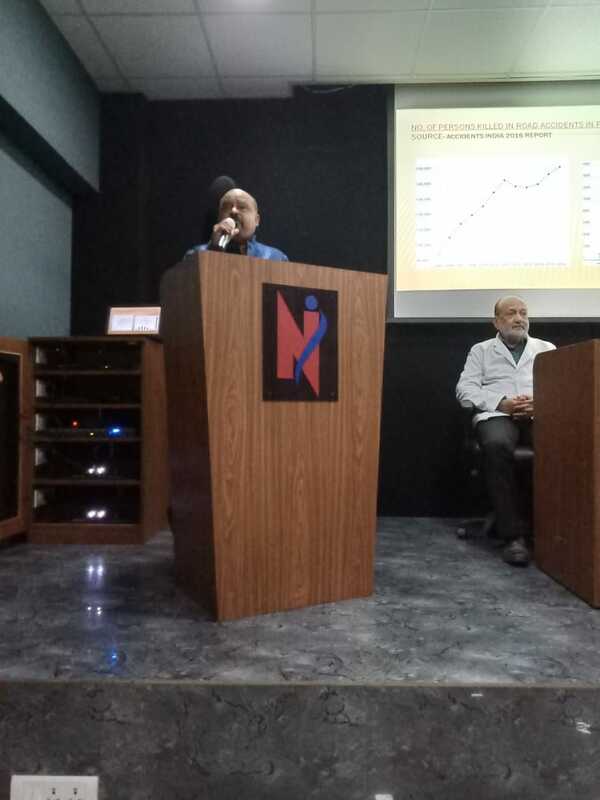 A founder member of cancare NGO Mr. Sagir Deshmukh was invited to take the session. 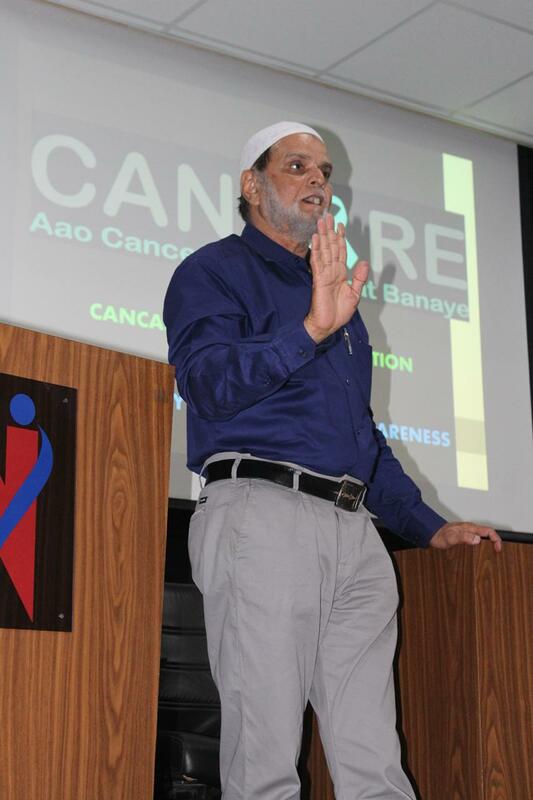 He spoke about precautions that can be taken and symptoms of cancer.Around 60 students were benefited from this session. After realising a growing issue of road accidents among youth. 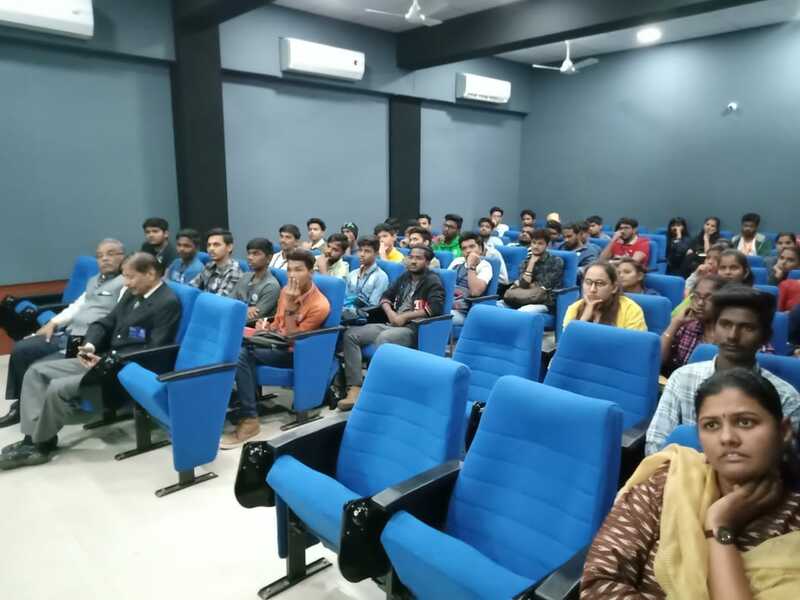 NSS unit along with Rotrary club organised a session on Road Safety for students. 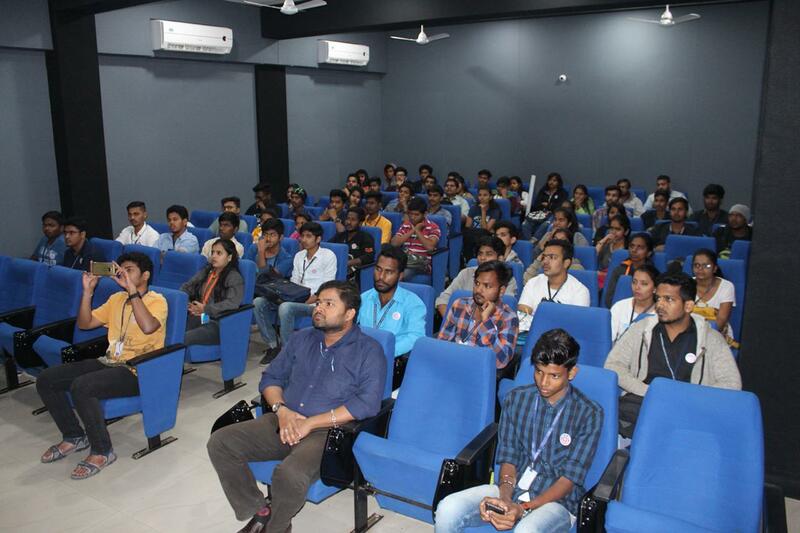 Around 70 students were benefited out of it. 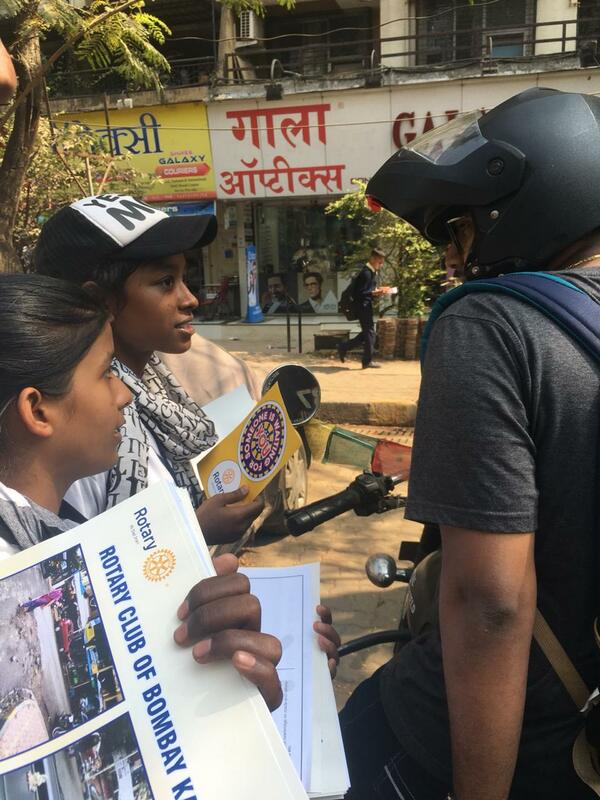 Further, these students will be spreading awareness in near by vicinity during Road safety week. 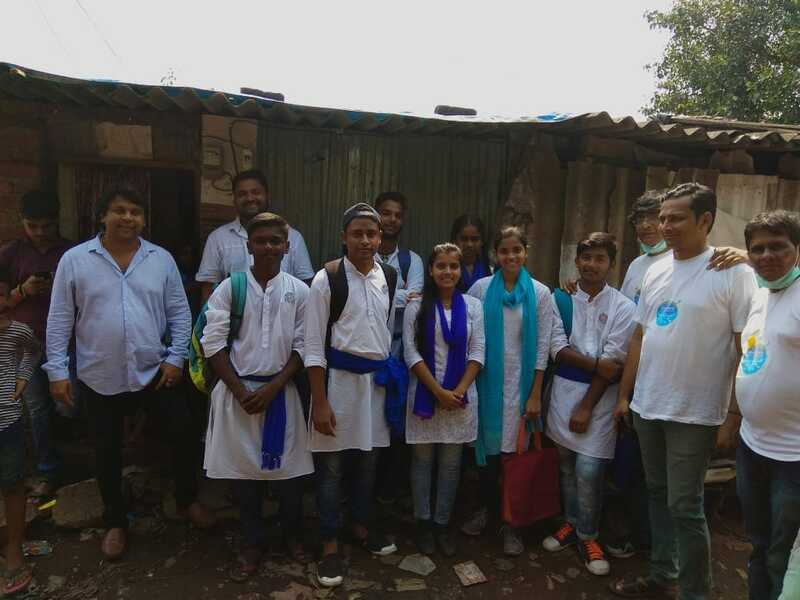 On 14th November 2018 NSS volunteers celebrated Childrens' day with students of Anganwadi at Poisar and Mira road. 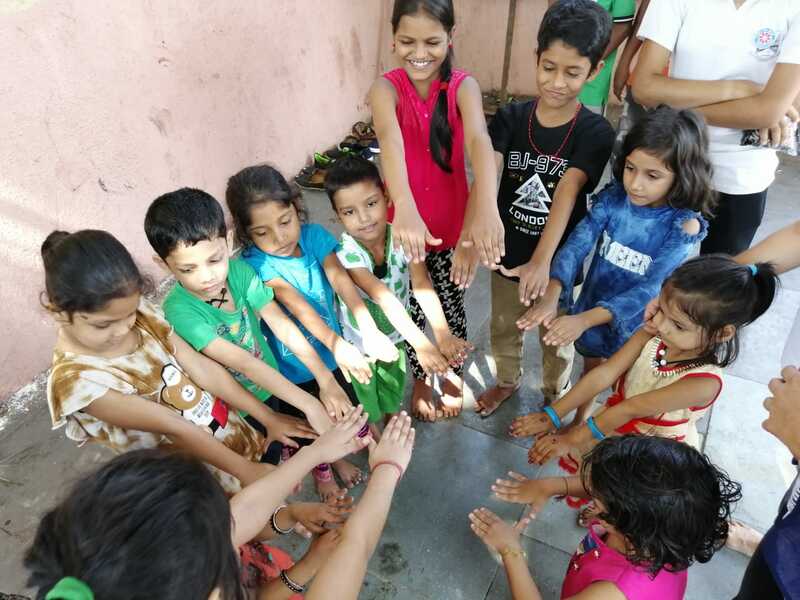 Volunteers planned out games and same were played with those kids. 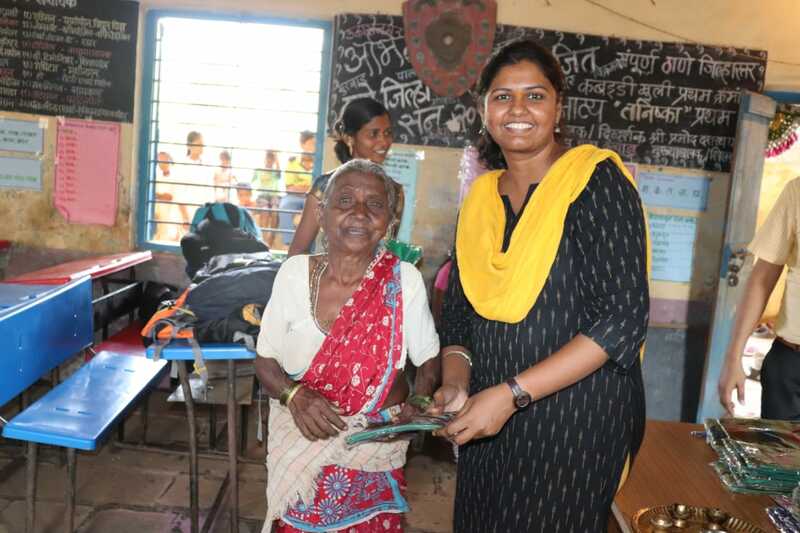 ▪Note books and stationery were distributed to children. 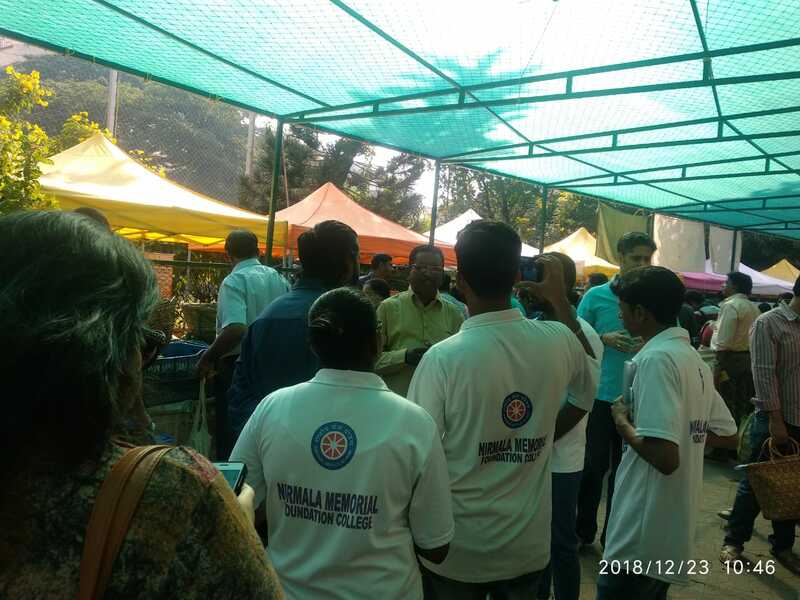 On 23rd December 2018, NSS unit performed a skit spreading awareness about consuming organic food and support farmers to sustain their livelihood. 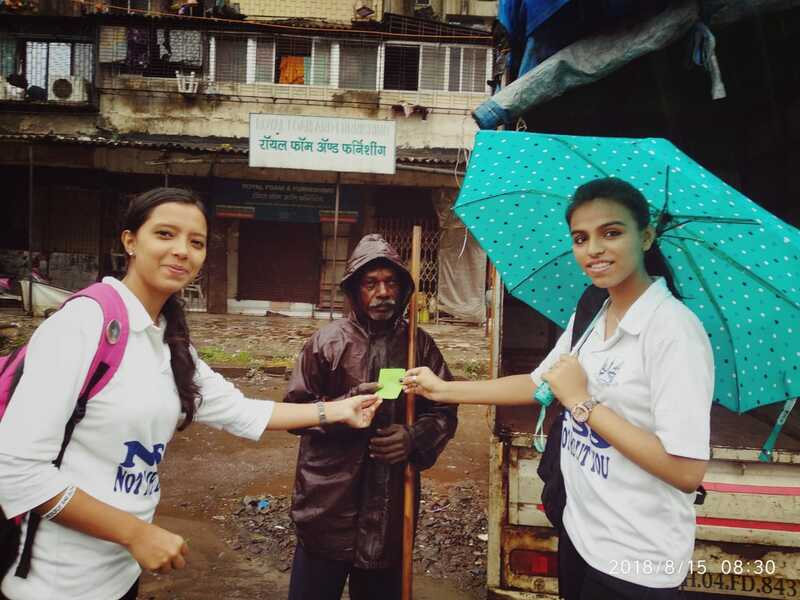 A flyers were distributed to inform people the benefits of organic food. Around 15 volunteers were involved in it. The same was also covered by DNA Media. 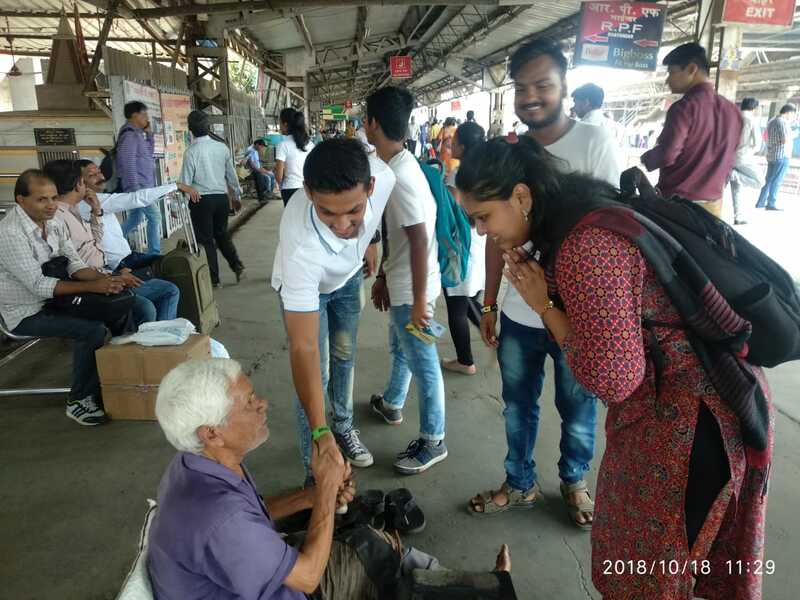 On the occasion of Vijayadashmi, our NSS volunteers gave greeting cards and flowers to motorman, ticket checkers, station master, gangmen etc. 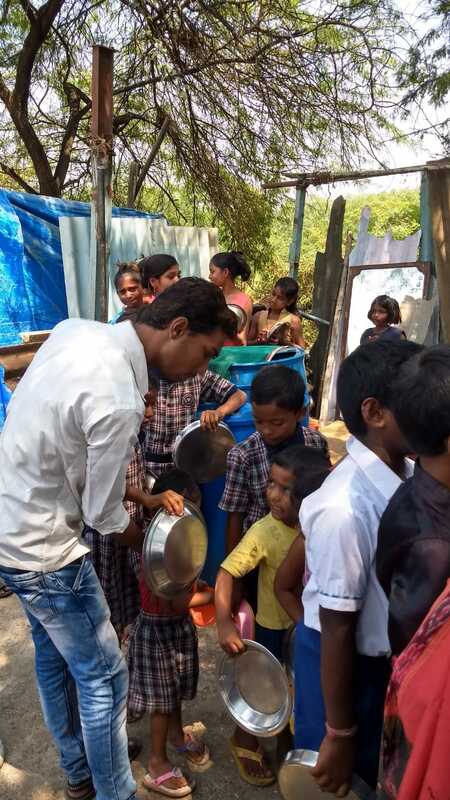 The main objective was to appreciate their efforts for working during festive season. 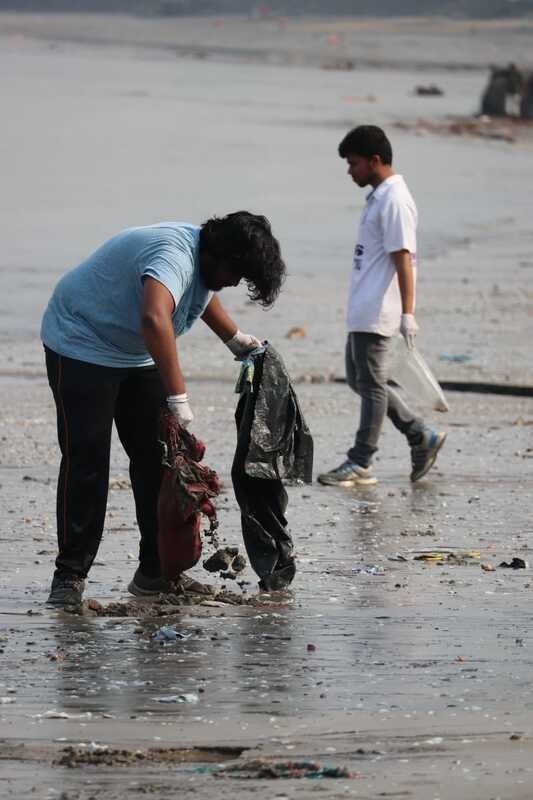 The area was covered from Dhaisar to Bhayandar and around 10 volunteers were involved in this activity. This donation was distributed among street children near gorrai along with roti ghar group. Later our NSS volunteers spend some time with them. 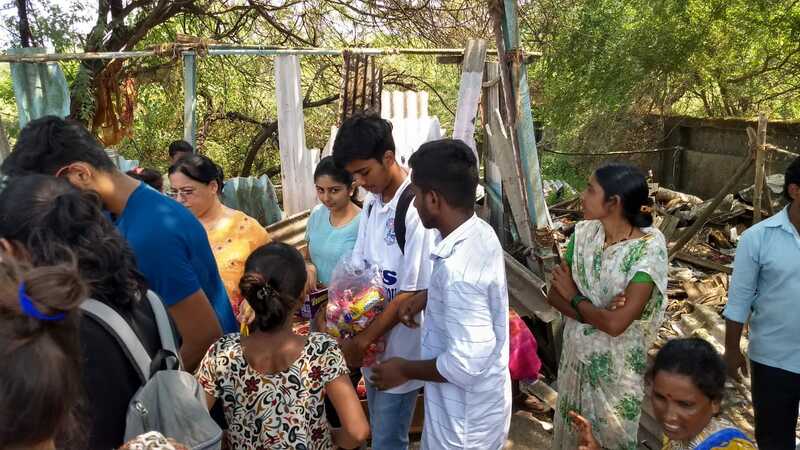 Volunteers were sensitized with the challenges that those people have to go through everyday. 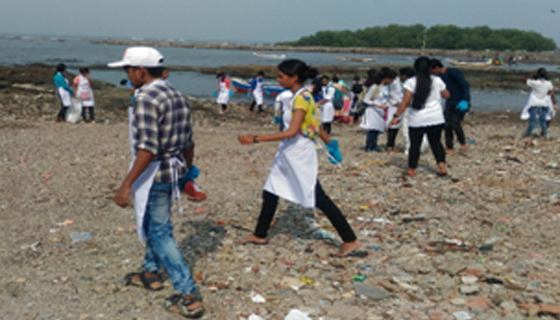 A beach cleaning activity after ganpati immersion was conducted on 30th September 2018 at Dadar Chowpatty. 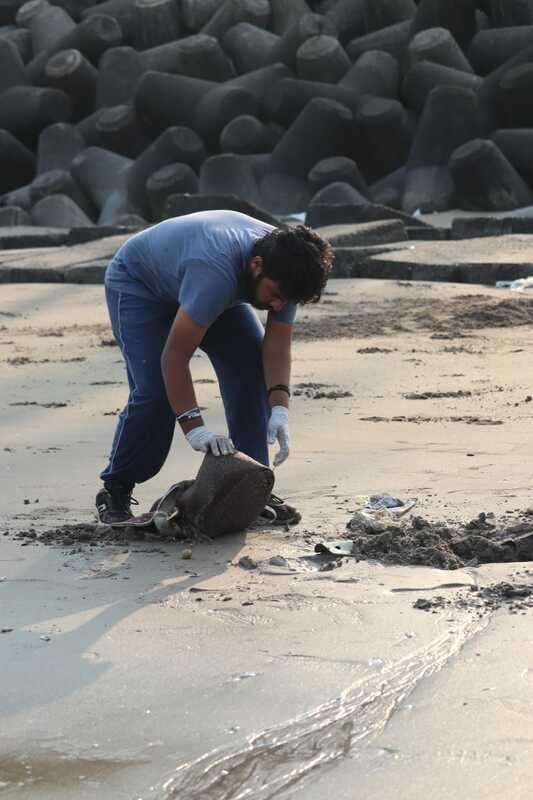 NSS volunteers were engaged in collecting broken idols of ganesha and plastic from chowpatty. 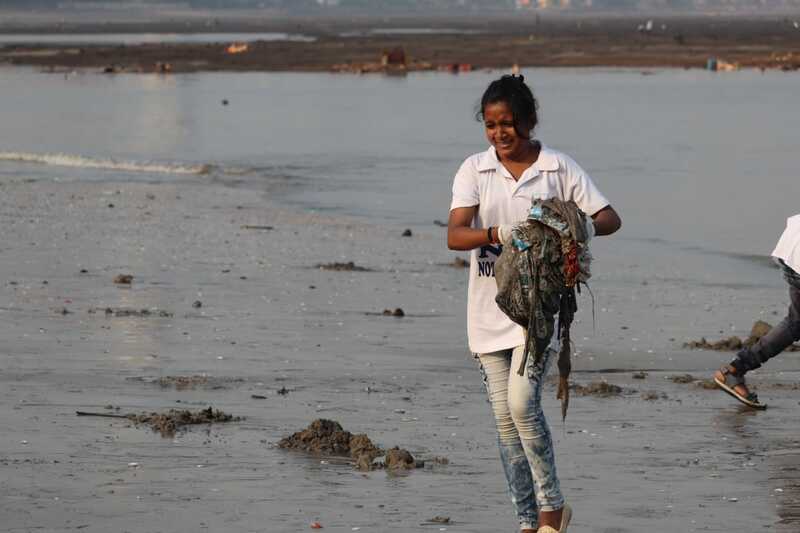 Later, the garbage was taken by BMC Marshall. 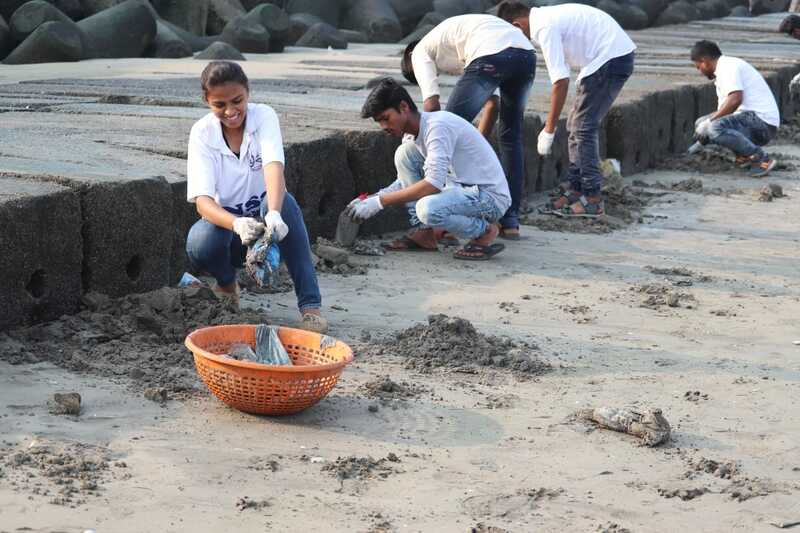 Around 25 volunteers were involved in these activity. 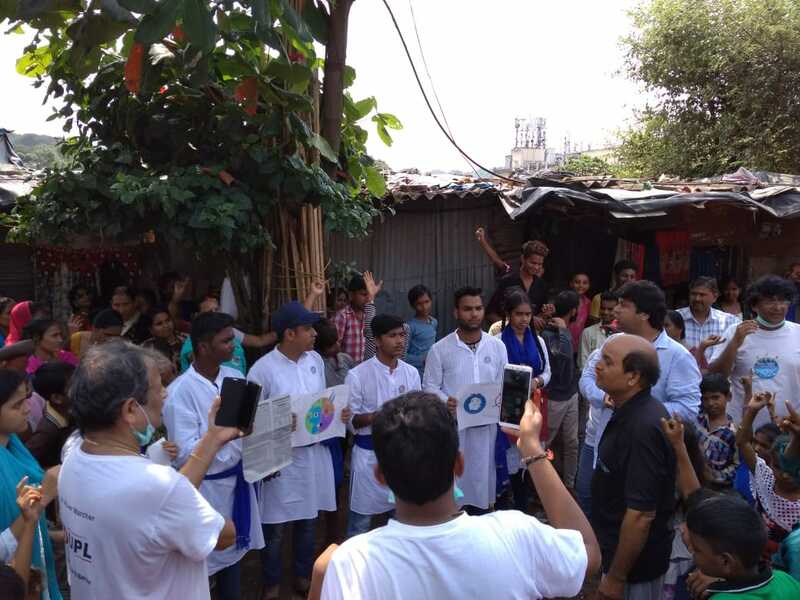 On 29th September 2018 our volunteers in coordination with River March NGO spread awareness for cleaning river at Kranti Nagar, Kandivali. A message of keeping the environment clean was passed through skit. 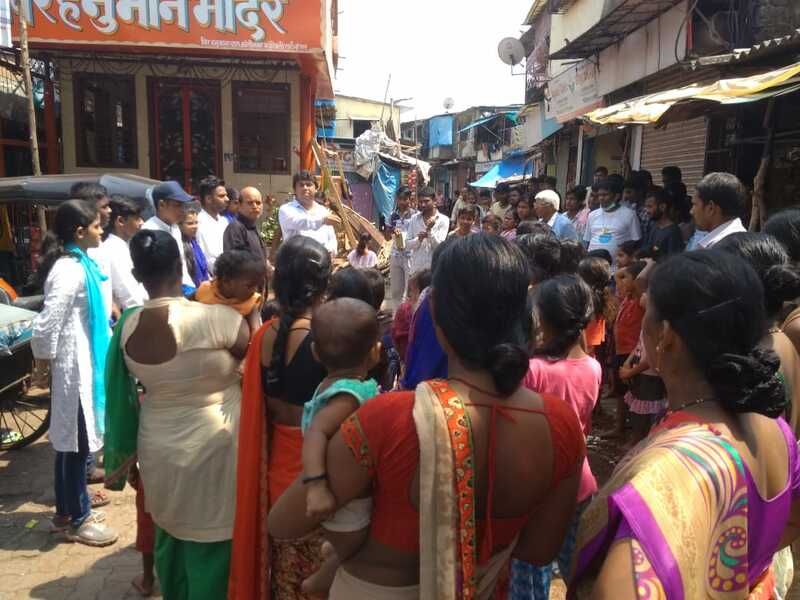 Volunteers went door to door to counsel residents of that locality and tell them to dump garbage in dustbins only. 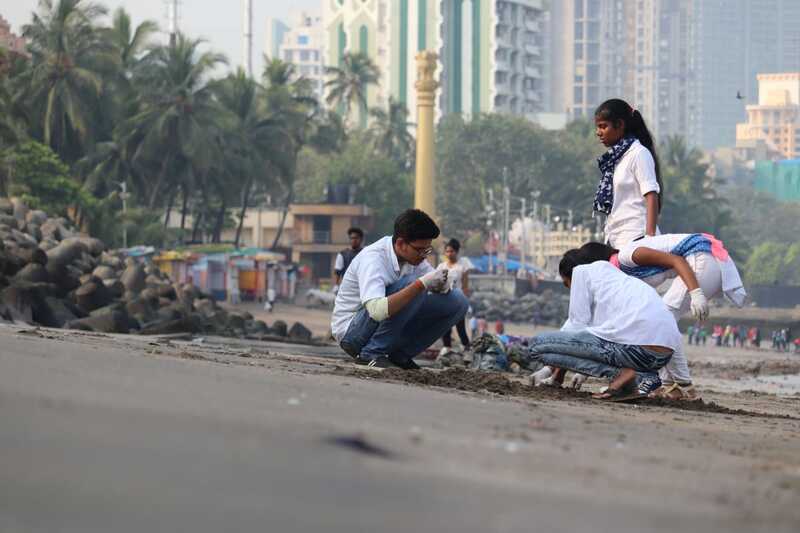 Around 12 volunteers were engaged in this activity. 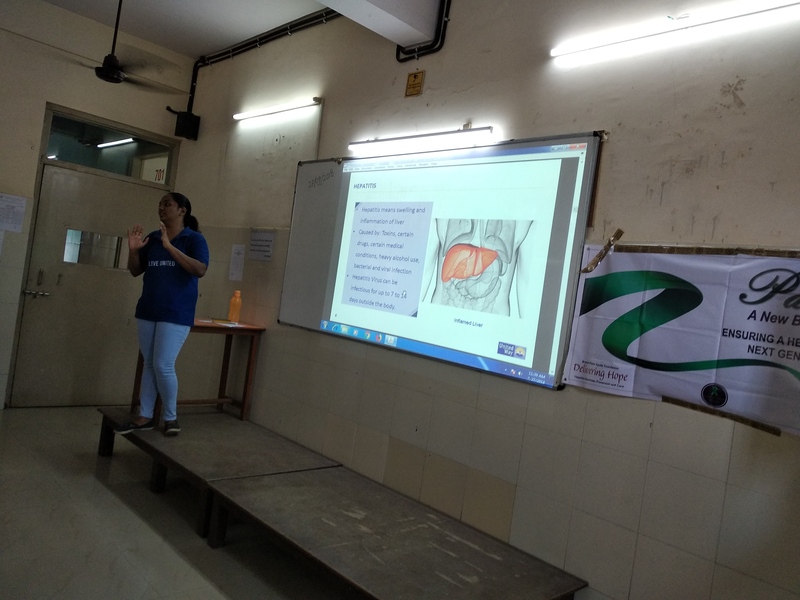 A session on Hepatitis was organised for NSS volunteers in coordination with United Way NGO. 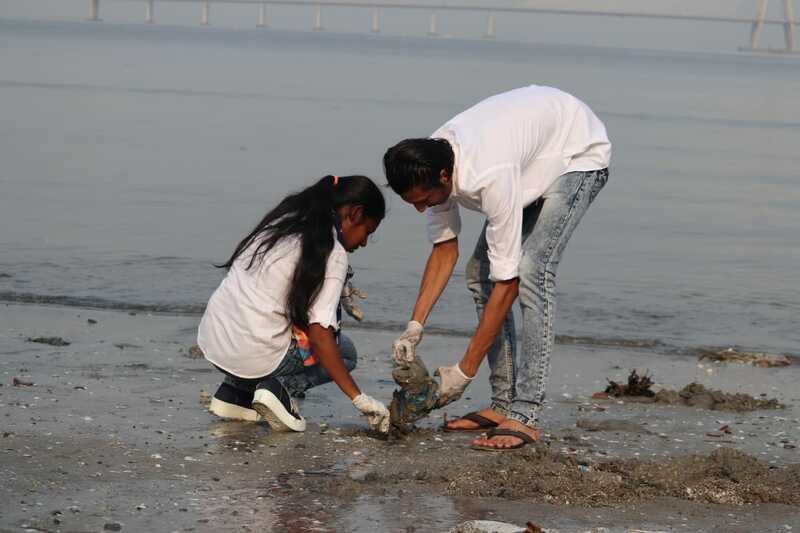 Further, volunteers will make efforts to spread the same in our adopted area. 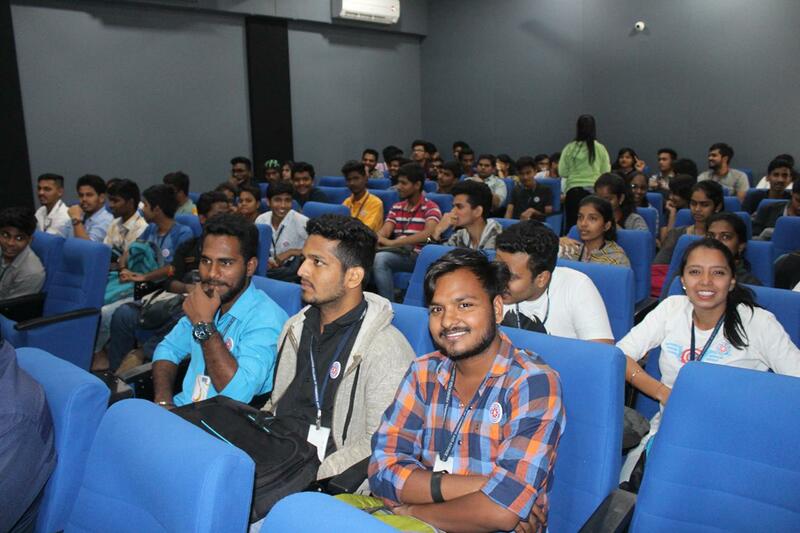 Around 50 volunteers actively participated in the session. 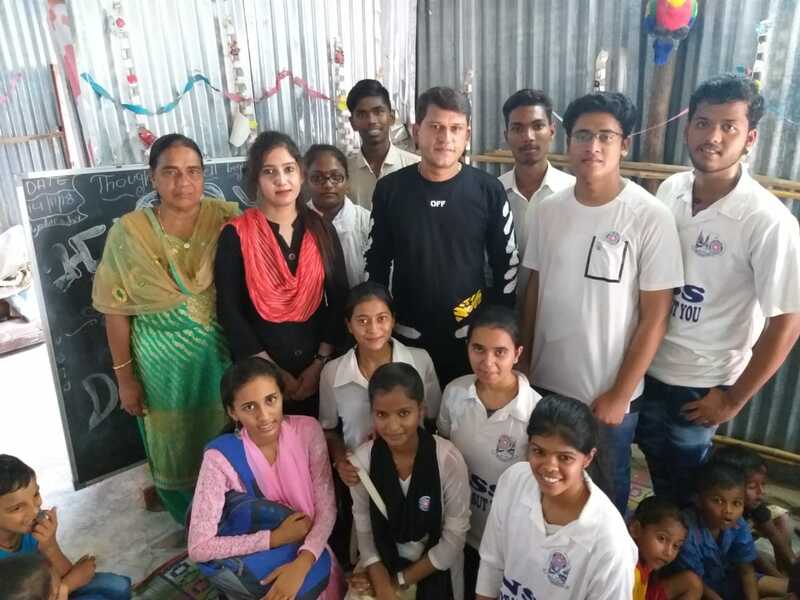 NSS Unit of our college celebrated Rakshabandhan with special children (Mentally Challenged) of Shashi Manglam School, Goregoan. 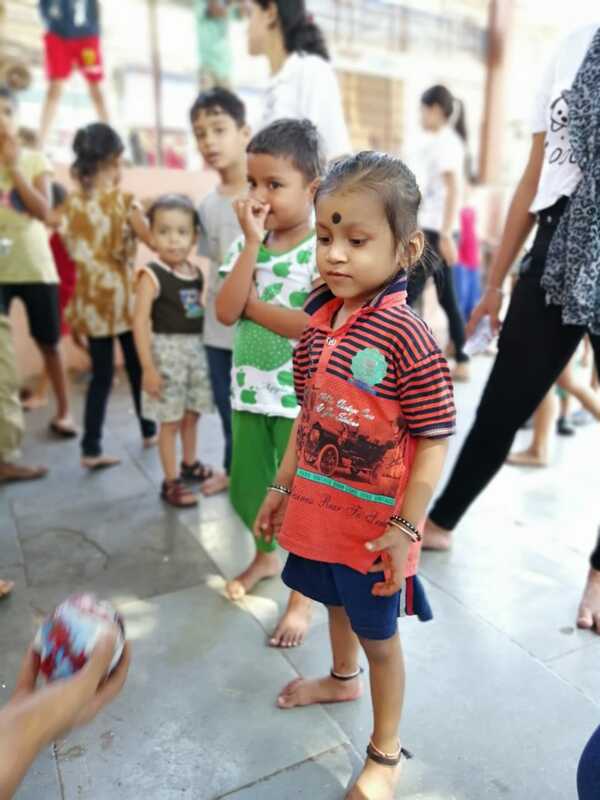 The volunteers tied rakhis and played games with those children. 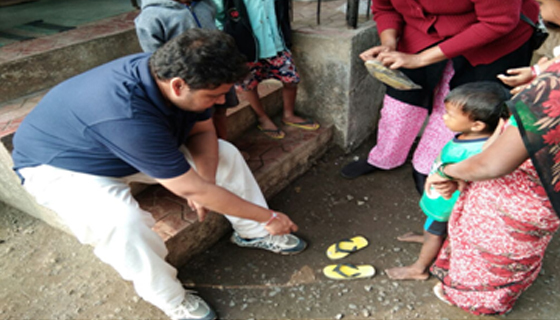 The main objective of the event was to sensitize volunteers with the difficulties faced special children. 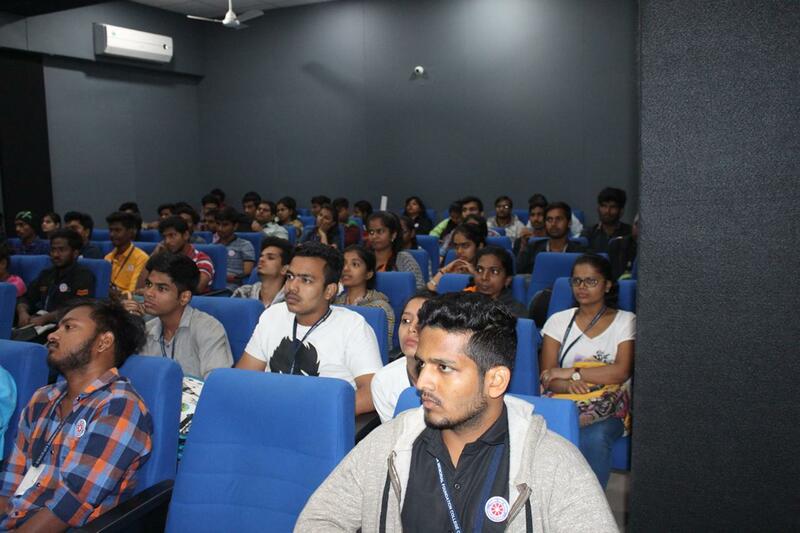 Though it was emotional it was a good learning experience for volunteers. 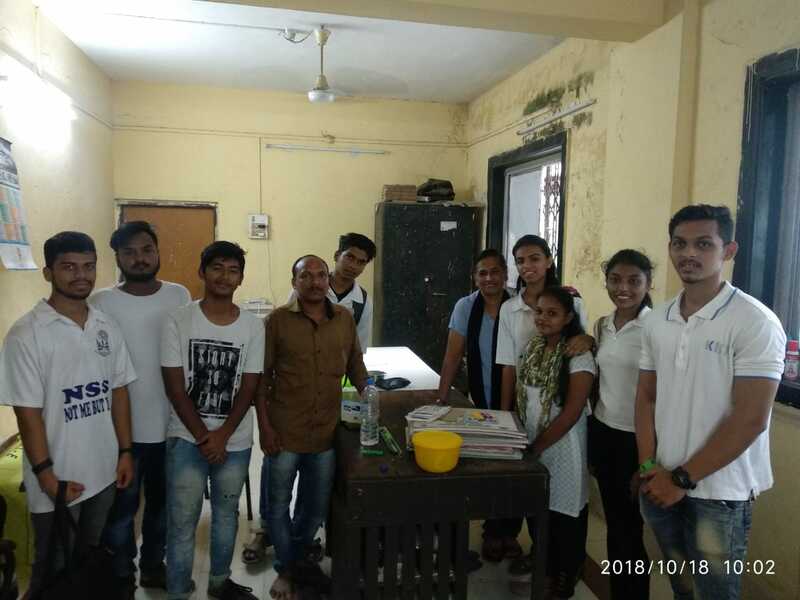 Today i.e.15th August 2018, along with Independence Day our NSS volunteers celebrated Thanksgiving Day too. 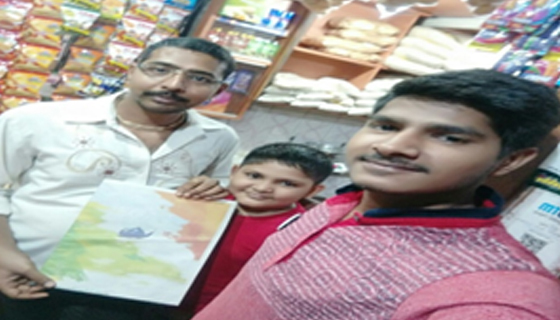 A team of volunteers staying at Mira Road took special efforts to make greeting cards and thank those employees who serve the nation during holidays. 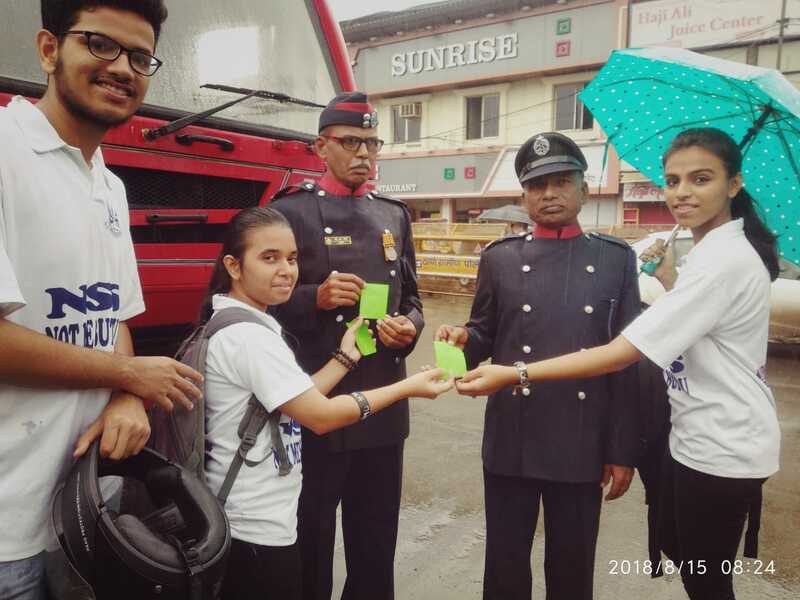 Thank you cards were given to policeman, traffic police, sweepers and fire brigade officials. Volunteers also had one to one interaction where they appreciated and thanked them for their work. 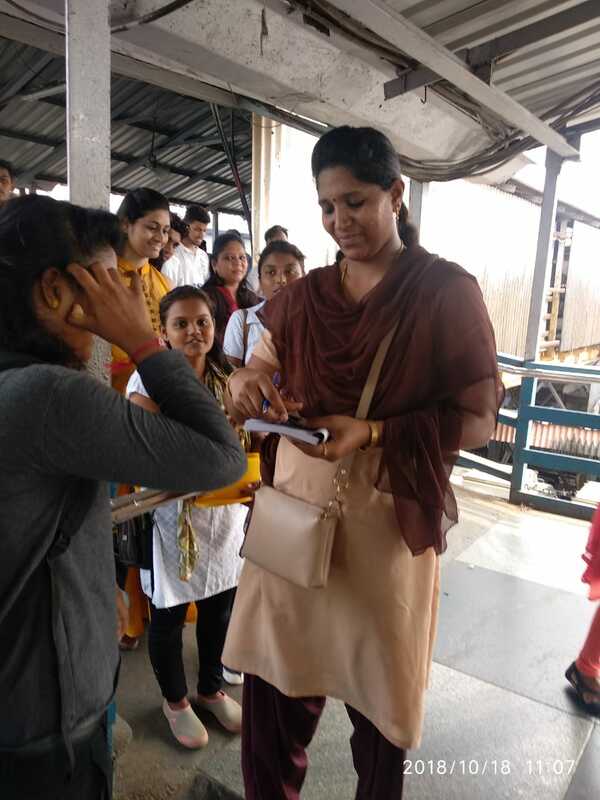 The people who received cards were touched by the gesture and gratitude shown by our volunteers. It feels good to know someone is smiling because of you. 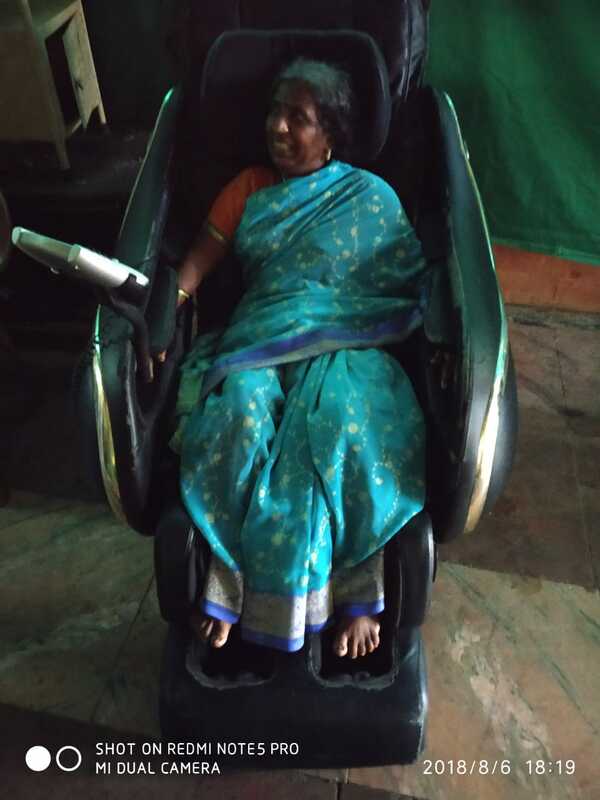 The management of Nirmala Memorial Foundation College of Commerce and Science, Kandivali donated a massage chair to Shri Nityanand Old Age Home. The chair will help old people to relieve their stress and relax their muscles. 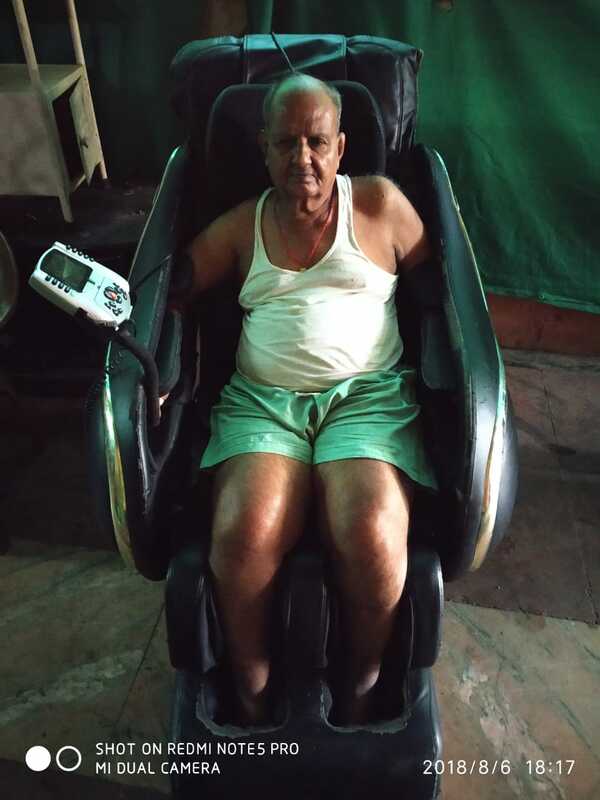 The founder member of the oldage home Mr. Rupesh Patil was highly obliged to receive a massage chair. 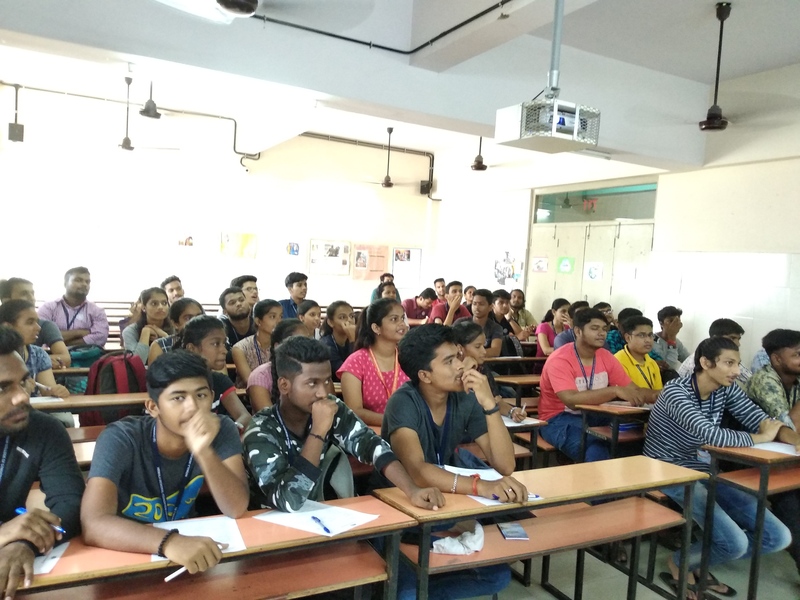 Mr. Ashwin Sadanandan and Ms. Shruti Shetty participated in 5 days Leadership Training Camp organised by NSS Cell at University of Mumbai. Volunteers received at cash prize of Rs. 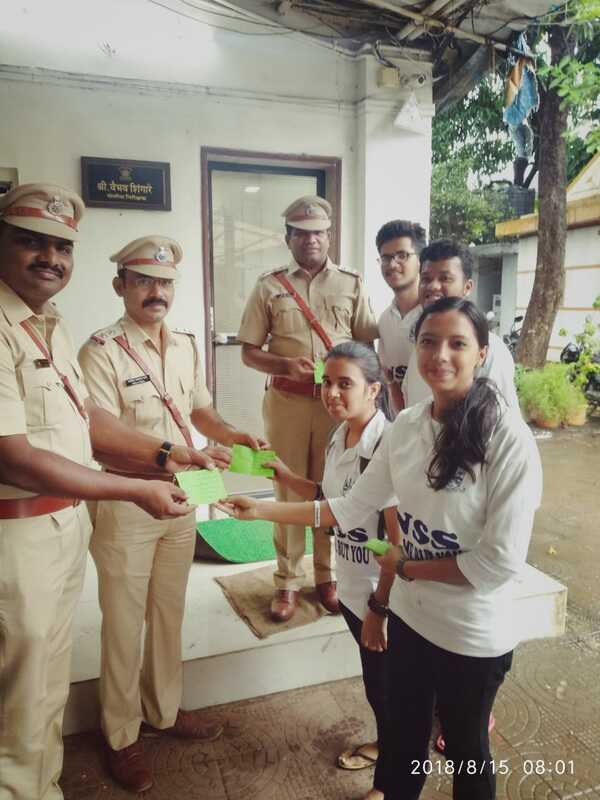 11,000/- from MAA NGO for performing skit. 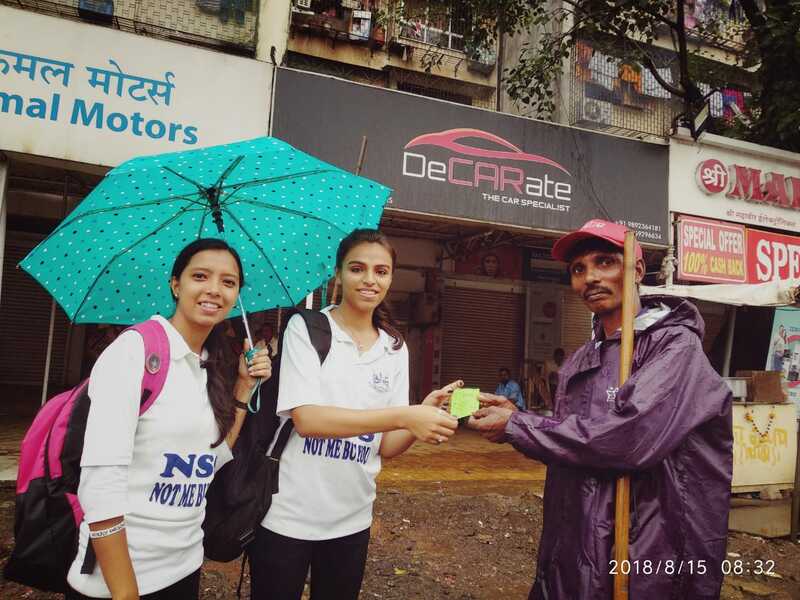 NSS Volunteers won 3rd Prize in skit competition organised by MAVA NGO. 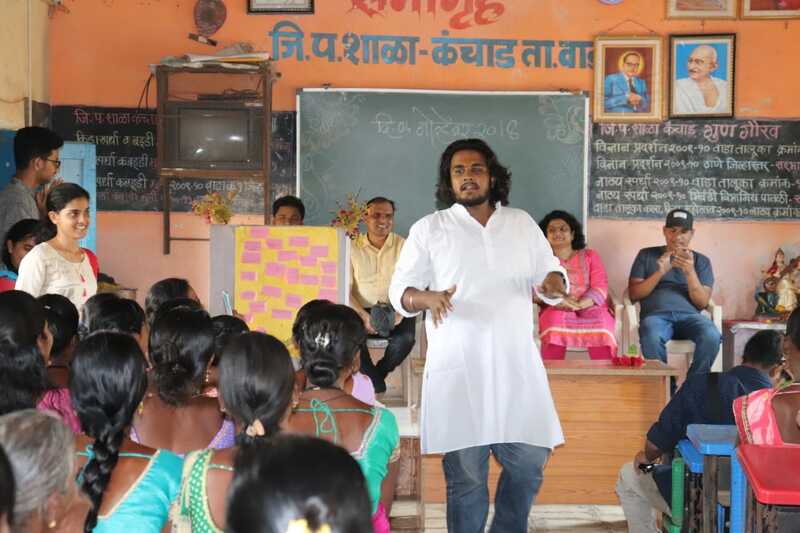 The topic for skit was “Transgender – To have equal rights”. 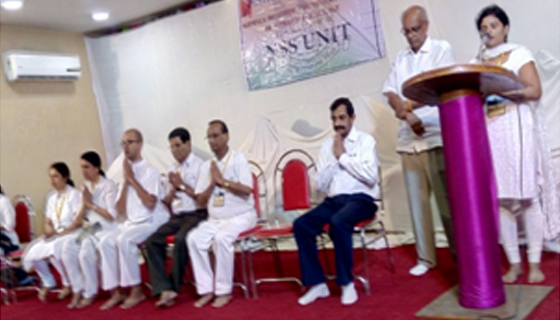 Mr. Balaji Banate was selected to participate in 2 day Raigad Parikrama. 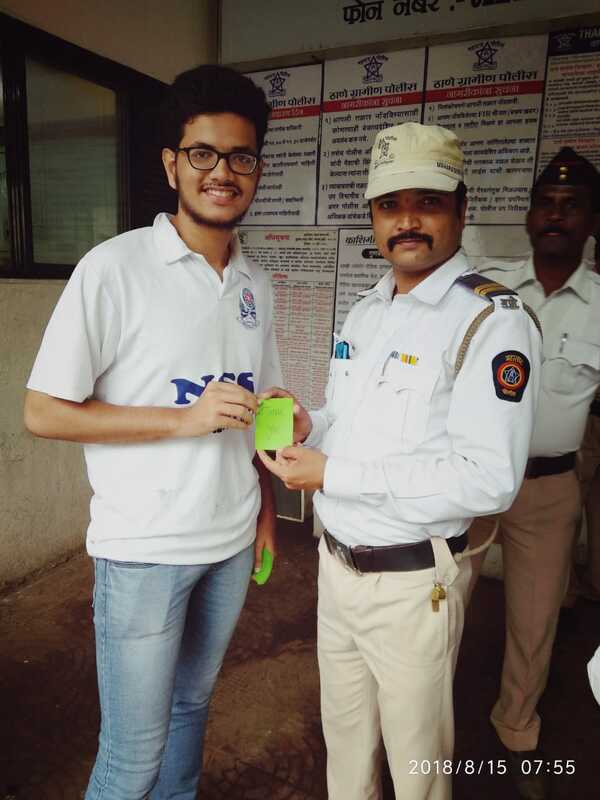 Mr. Balaji Banate was selected for Yes Foundation Fellowship. 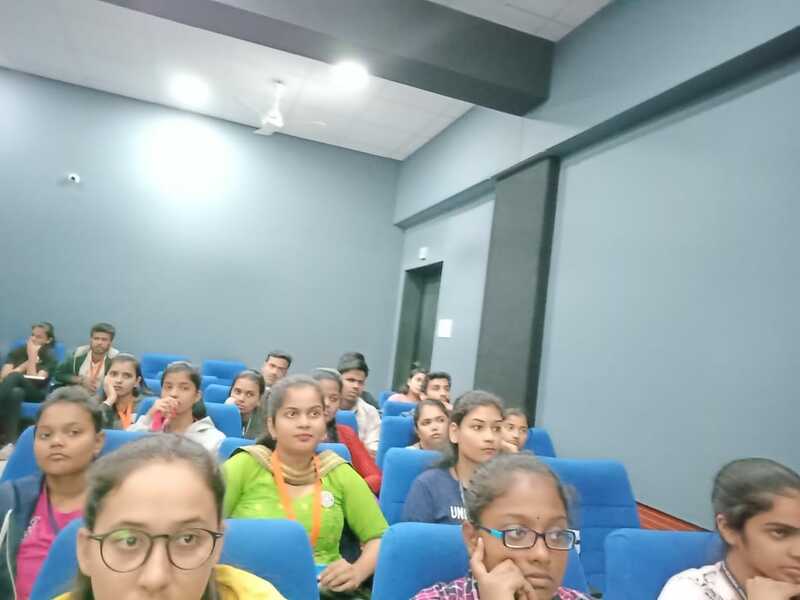 Mr. Devansh Desai participated in 10 days AVHAAN camp at Aurangabad. 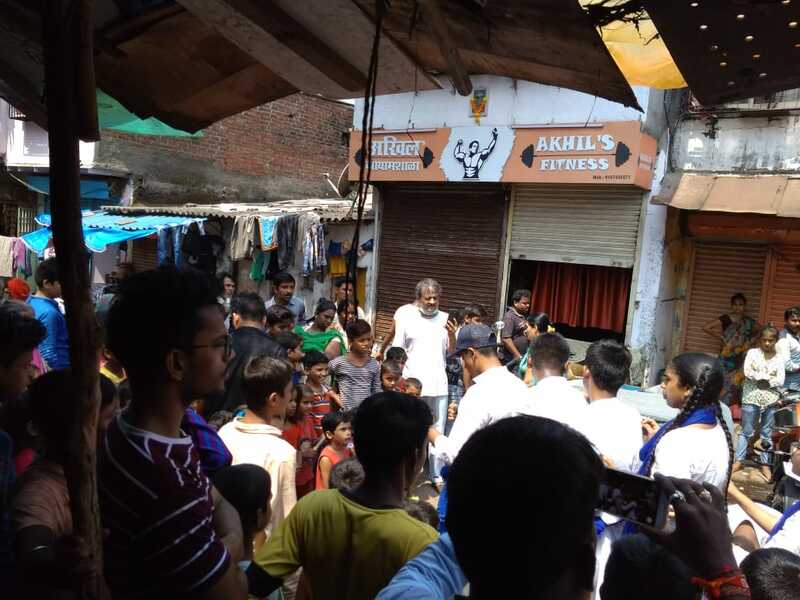 Yoga Day:-As without fitness our volunteers haven’t been so active to do all the events so far we have been conducted. 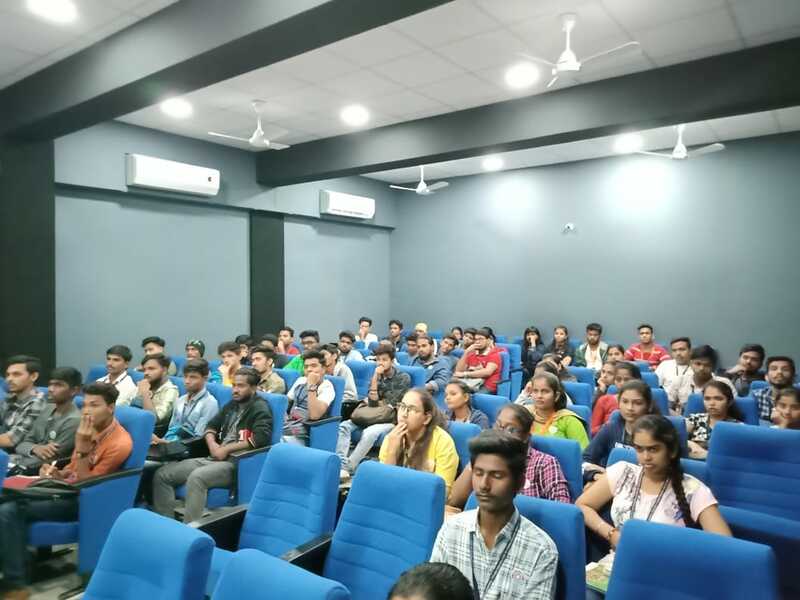 Yoga day was conducted in our college auditorium for all the volunteers so that they can be fit and fine for further activities. Blood Donation Camp:-On 16th September 2017, the total numbers of blood bottles collected were above 161 during this program. 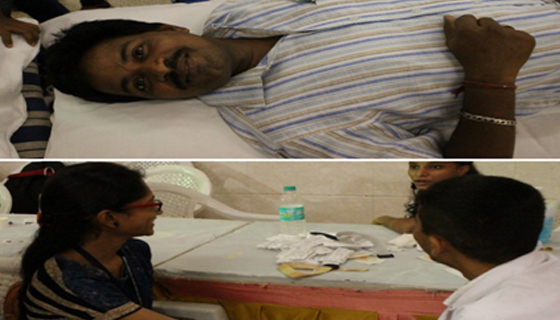 On the same day of the blood donation camp, thalassemia check-up and hemoglobin check-up was also conducted. 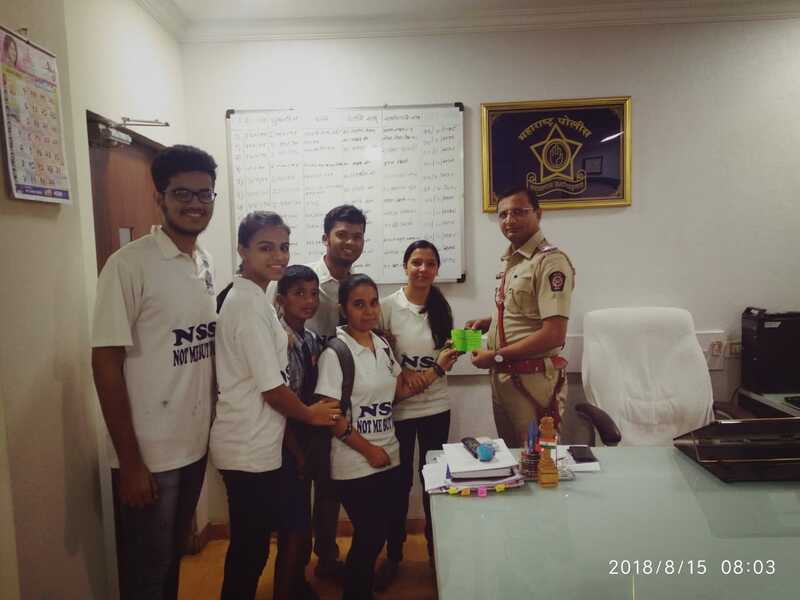 S.S. Week Celebration:- This year we celebrated N.S.S week in our college by conducting various competition with an NGO named “United for Road safety”. 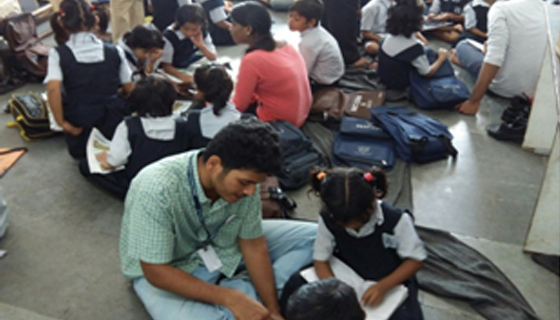 We conducted competitions like Quiz, JAM and Poster Making, etc. 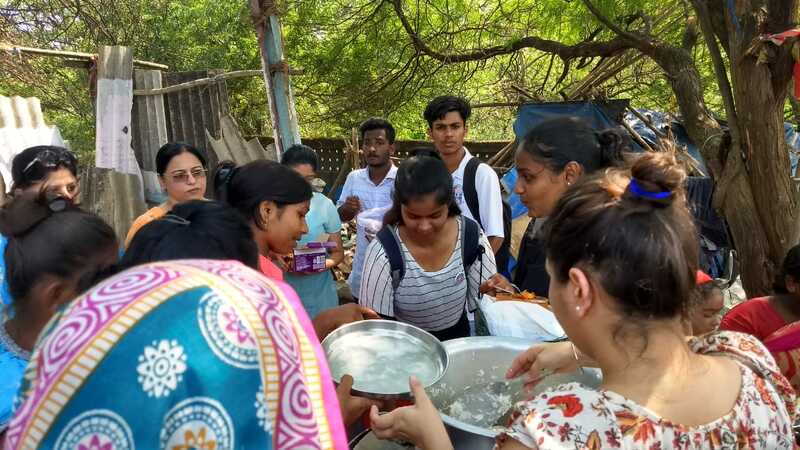 A 7 days residential camp was organised at Bhalivali, Virar and various social activities were conducted at Belvadi village. 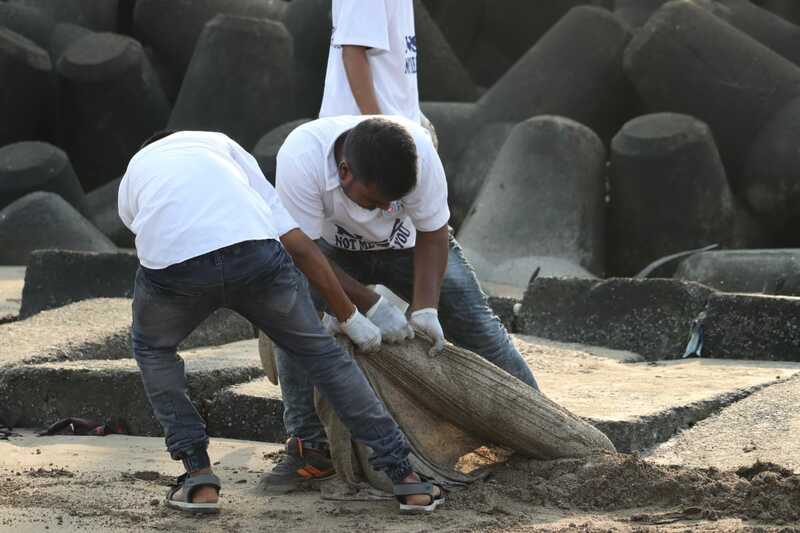 Construction of Bandara: A 1 ft Bandara was constructed by our volunteers. The Bandara acted as an obstacle for flowing water and the level of water started increasing. Due to this the villagers will not have problem of scarcity of water. Two Bandaras were constructed. 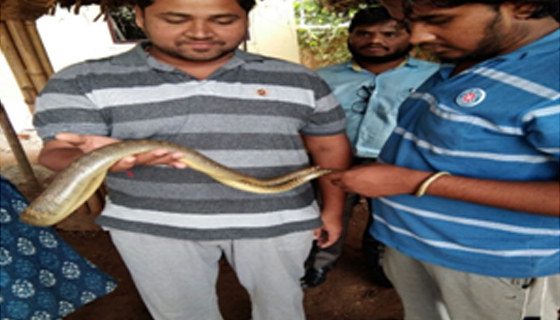 Snake awareness session was conducted for volunteers and also for villagers. 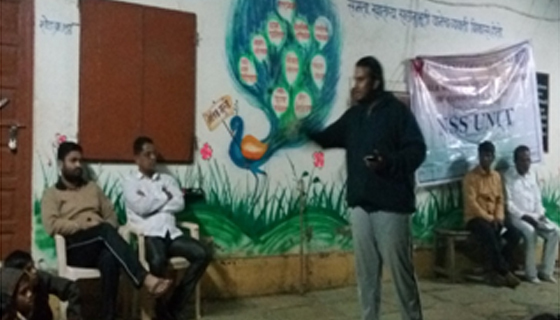 Session on Nasha Mukti Kendra for making villagers understand the harmful effects of consuming tobacco. 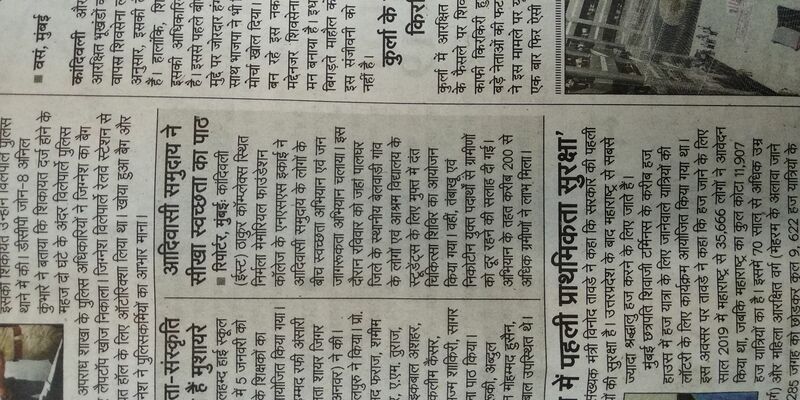 An initiative was taken to set up a library at Z.P.Kanchad School, Wada. 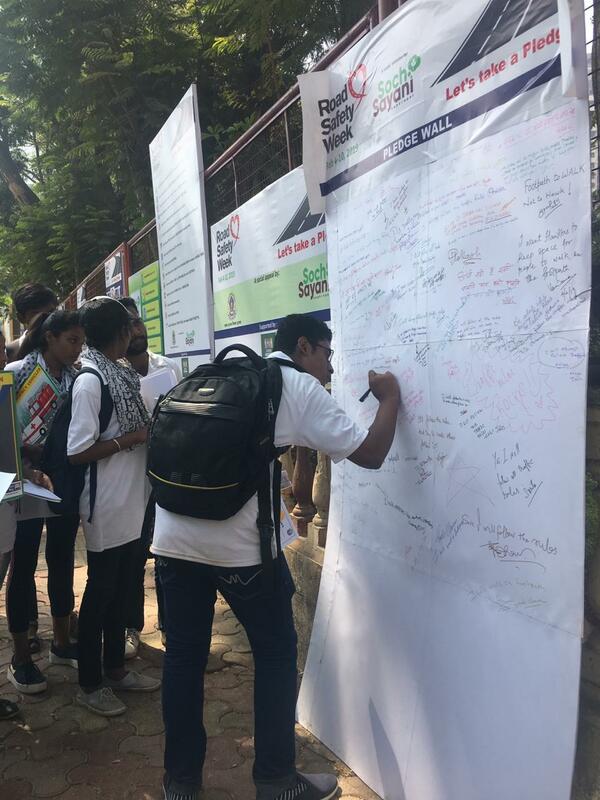 The school has around 1000 students and there was no library, hence, our NSS unit collected around 300 story books from the stakeholders of college. 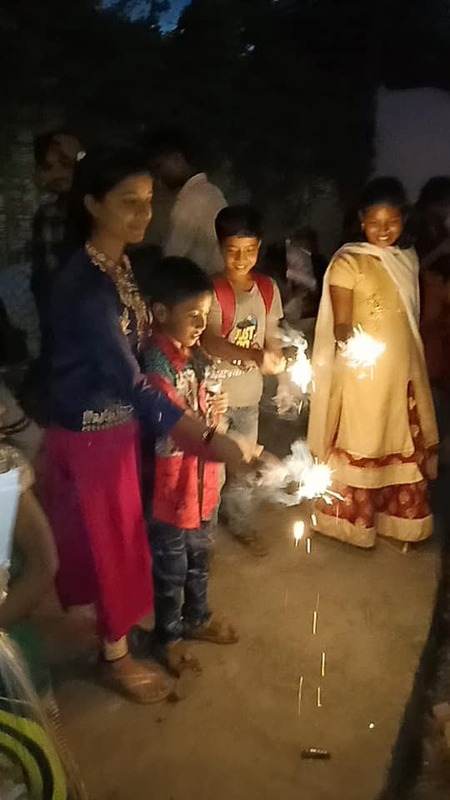 This year volunteers celebrated Rakshabandhan at orphanage. 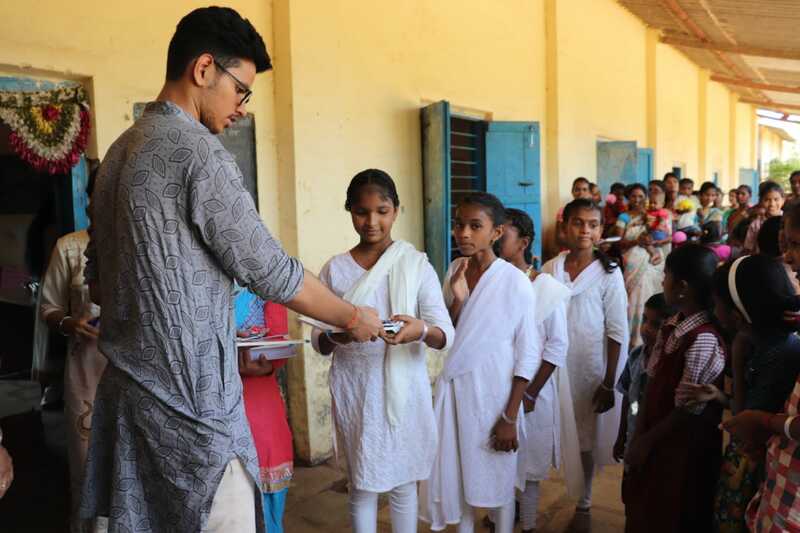 Girls tied rakhi to children and then they were engaged with one minute games. On the occasion of Makar Sankranti a Haldi Kunku was organised at Belvadi. 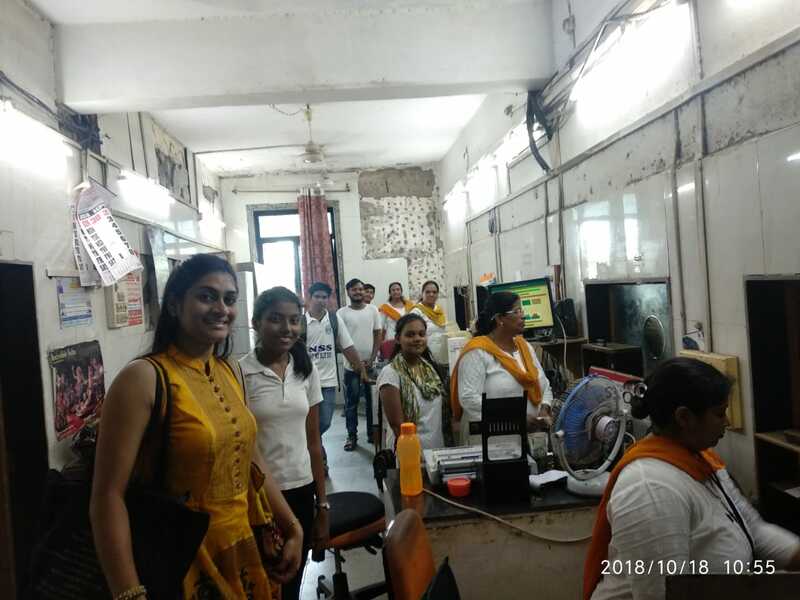 Approximately 50 ladies were a part of the programme. 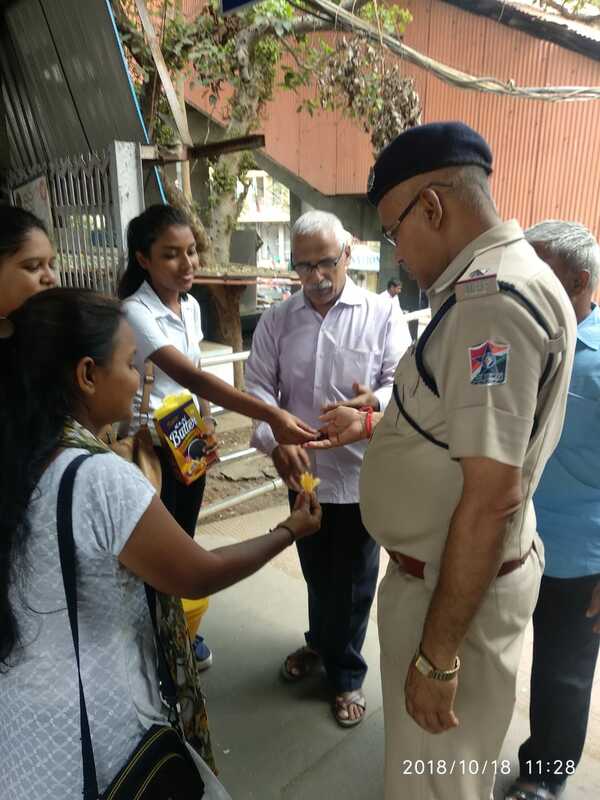 Ladies were made play one minute games and then ladoos and gifts were distributed among them. 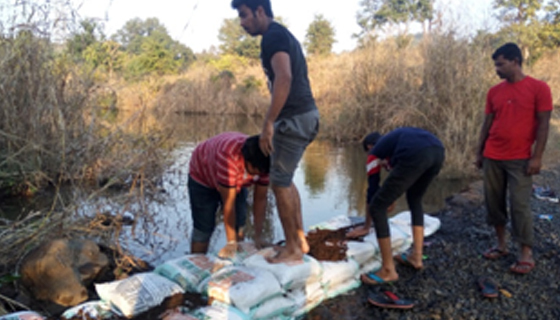 To maintain the ecological balance and protect mother earth various eco friendly activities were conducted by NSS Unit of our college.